Oil shale and tar sands remains a speculative industry in the arid lands of the Colorado Plateau. A general lack of water is why the industry will never be viable. If the oil corporations buy the water from farmers, that would create food insecurity and increase dependance on transportation fuels to import food from other watersheds; ever-expanding metropolises covet that same water too. Even if alternative chemical washes are used to separate bitumen from sand, for example, it still requires 2 barrels of water to refine a single barrel of synthetic crude. What this extraction will accomplish is physical damage to the Colorado River watershed, which supplies culinary water to nearly 30 million people. It will also create more CO2 in the atmosphere, which is the #1 killer of the Rocky Mountain snowpack, which provides 85% of the Colorado River's total annual water supply. Our watershed needs investors to create a reliable energy supply that will heal the water supply of the Colorado River, not destroy it. CLICK HERE to watch the first documentary about Utah unconventional fuel called Last Rush for the Wild West: Tar Sands. 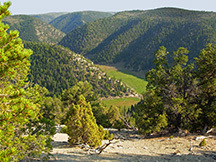 Oil Shale and the American Frontier. NOTE: there are no tar sands in Colorado or Wyoming. 141,020 State Trust acres on which tar sands are known or expected. US Oil Sands Contract Report. SITLA. 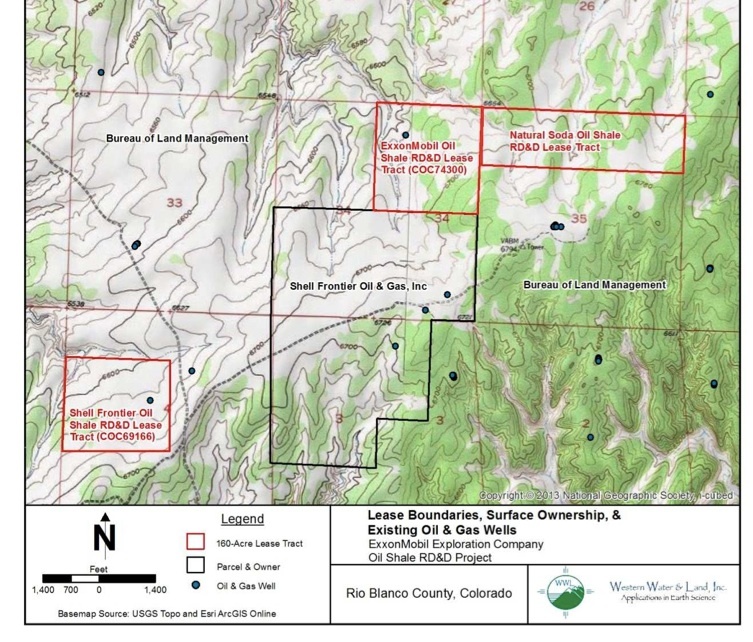 2007 - Analysis of Utah Tar Sands. Baxter. 2008 - History of Tar Sands in North America. Congressional Research Service. 2010 - American Tar Sands. Willliams. 2010 - Water Availability for Tar Sands and Oil Shale. Keiter. 2015 - Potential Impacts to Perennial Springs from Tar Sand Mining in the Tavaputs Plateau, Utah. Johnson et al. 2013 - Hydrochemical Data from Perrennial Springs in the PR Spring Area. Johnson. 1983 - Potential Impacts on Hydrology from Tar Sands Industry. USGS. 1975 - Hydrologic Reconnaisance of Southern Uinta Basin, Utah and Colorado. Price & Miller. 2006 - Chevron: Environmental Assesment and FONSI. 2006 - EGL Resources: Environmental Assessment. 2006 - Shell Frontier Oil ande Gas: Environmental Assessment . Plan of Operations. BLM Website. 2006 - EA & FONSI. 2006 - Plan of Operations. 2014 - Determination of NEPA Adequacy. 2012 - Exxon: Environmental Assessment. 2012 - Decision of Record. 2013 - Plan of Development. RD&D locations for Shell, Exxon & Natural Soda. RD&D location for EGL Resources.